Tanks of the South Alberta Regiment—one apparently crippled—in St. Lambert-sur-Dives, Normandy, August 1944. On the afternoon of Aug. 18, 1944, the 4th Canadian Armoured Division redeployed its forces in response to a directive from the corps commander to prevent the enemy from escaping the Falaise Pocket. The division was to establish blocking positions along the River Dives between the villages of Trun and Chambois. The Polish Armd. Div. was to secure Chambois, linking up with the American 90th Infantry Div. 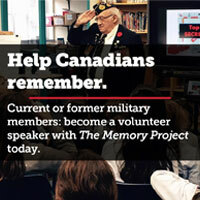 It is not clear why Lieutenant-General Guy Simonds thought that the 10th Canadian Inf. Brigade, less the Algonquin Regiment, was a sufficient force to accomplish this task, but as corps commander he was preoccupied with the next phase of operations: the pursuit to the River Seine. Simonds ordered Major-General George Kitching to deploy the 4th Armd. Bde., with three of the division’s four armoured regiments and two infantry battalions, north of Trun, where they would begin the advance north. This decision forced Brigadier-General Jim Jefferson to try and close a six-kilometre gap with the tanks of the South Alberta Regiment (SAR) and the rifle companies of the Argyll and Sutherland Highlanders of Canada, and the Lincoln and Welland Regt. The Lincs were committed to holding Trun and the nearby village of Magny, where a bridge crossed the River Dives. Jefferson ordered the SARs and Argylls to advance towards Chambois, gaining control of the village of St. Lambert-sur-Dives, where a second bridge was located. Major David Currie commanded the lead battlegroup. His C Squadron of the SAR had 15 tanks while Maj. Ivan Martin’s Argyll company could provide 55 men. Their attempt to seize St. Lambert on Aug. 18 was slowed by friendly fire, first from Polish tanks then, more seriously, from repeated attacks by Royal Air Force Spitfires. Currie scouted the village defences on foot and was preparing an attack with dismounted tank crews and the infantry when the regimental commander, Lieutenant-Colonel Gordon Wotherspoon, ordered him to wait for morning. Using the cover of darkness, Wotherspoon brought his headquarters and most of the remaining armour to Hill 117, a reverse slope position north of St. Lambert. The regiment’s third squadron covered the road back to Magny. Currie’s battlegroup re-entered the village, a straggle of stone houses on both sides of the road, shortly after dawn on the 19th. This was not an inviting task for thinly armoured Shermans and when the lead tank was hit, the job of taking the village was turned over to the Argylls who systematically cleared the houses and destroyed a Panther tank. Currie’s tanks moved in to consolidate. Brigade, division and eventually corps were informed that “Rooster,” the code name for the village, was secure. Another armoured squadron and two additional infantry companies, one from the Argylls and one from the Lincs, joined Currie. The arrival of Forward Observation Officers (FOOs), who reported that both field and medium artillery were in range, was especially welcome news. Unfortunately, evidence, including Ultra decrypts of top secret German Enigma traffic, suggested that the enemy was organizing a major breakout to be supported by 2SS Panzer Corps, attacking from outside the pocket. 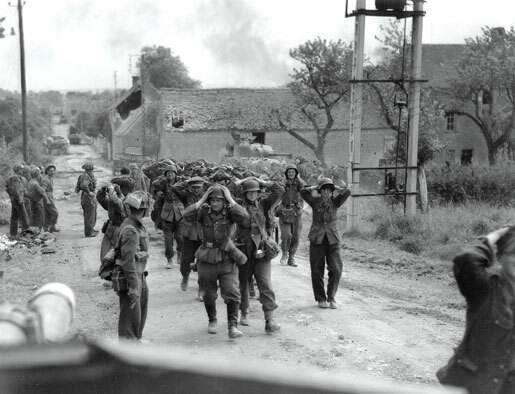 The breakout was to begin in the early hours of Aug. 20 with two columns of paratroopers crossing the Dives at Magny and St. Lambert. What was left of the Hitler Youth was to follow the paratroopers while 1st SS and 116th Panzer divisions broke through near Chambois. The balance of the German forces, 10th SS, 2nd Panzer and elements of three infantry divisions, was to form a third wave, securing the flanks and the rear as they withdrew. If all went well, the concentric attack would open the Chambois-Vimoutiers road, allowing vehicles and men to escape. It was up to 1st Canadian Army, with the support of the American troops in place, to keep “the cork in position” while 3rd U.S. Army advanced along the south bank of the Seine “to cut off the retreat of enemy forces.” The rest of the directive dealt with plans for the advance to Germany. 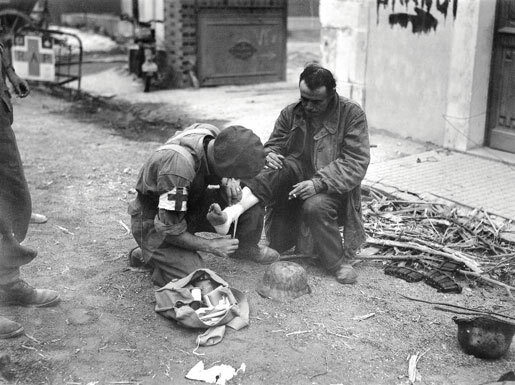 A Canadian soldier treats a wounded German prisoner at Trun, Aug. 19, 1944. The small groups of American, Canadian and Polish soldiers in position to hold the cork in the bottle knew nothing of these strategic visions. For them, Aug. 20 was a day of intense combat as the enemy fought with growing desperation. St. Lambert was inevitably a focal point because two roads led to its bridge over the Dives. At 5 a.m. Wotherspoon informed brigade about the situation, reporting that his troops were “much too thin on the ground” to stop the enemy advance. He asked for “all artillery support possible” but was told there was to be “no shooting southwest of River Dives unless definitely recognized enemy” as “12 British Corps was moving toward river.” This restriction, however, could only benefit the enemy because the leading British unit, 53rd Division’s recce regiment, was still well west of Trun. By mid-morning the Germans had forced the SARs and Argylls to withdraw to the western edge of St. Lambert. The Argylls, lacking explosives, had left the bridge intact when they were forced to withdraw in the face of infiltration across the entire front. The enemy also crossed at Moissy and at the edge of Chambois joining a flood of men and vehicles, including tanks, moving towards the Poles who were holding Point 262/Mont Ormel. 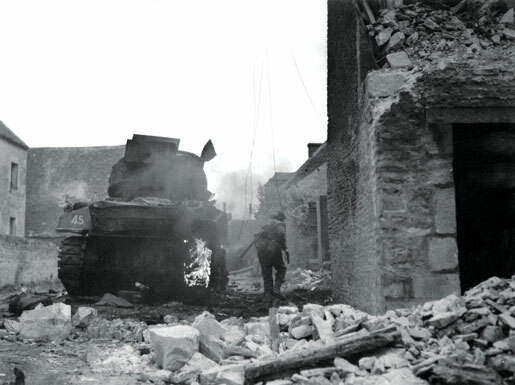 A tank burns while a Canadian picks his way through St. Lambert-sur-Dives. The arrival of 9th Canadian infantry brigade at Trun led Jefferson to order the remaining Lincs and Argylls to “get astride as many roads northeast of Trun as possible.” Kitching then ordered 4th Canadian Armd. Bde. to enter the battle, secure the high ground and contact the Poles. These moves had no direct impact on the situation in St. Lambert, where Currie was tirelessly encouraging his shrinking band of men to hold on and direct fire on the enemy. Polish accounts of the fighting on Aug. 20 describe a battle which raged the whole day with Point 262, “the Maczuga,” under attack from all directions. The Poles could count on the support of the medium and field artillery, and the FOO from 4th Canadian Medium Regt., Captain Pierre Sévigny, who bravely called for repeated and varied concentrations of fire. The artillery, and the determination of the Polish soldiers, prevented the Germans from overrunning the fortress position but at least one escape route was kept open throughout the afternoon and into the night. It is impossible to say how many German soldiers escaped the net after midnight, Aug. 19, but the number was in the thousands. German prisoners captured by Canadians, St. Lambert-sur-Dives. The gap was now closed at Point 262 and the Dives. By the evening of the Aug. 21 all that remained was to round up stragglers. Evidence of the enemy’s crushing defeat astounded all those who arrived in the pocket. Among the observers were a team from 21 Army Group’s Operational Research Section on a mission to determine both the extent and causes of German vehicle losses. 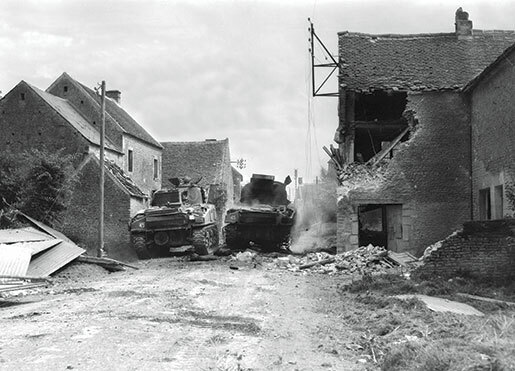 Their report divided the battlefield into four sectors: “The Pocket,” the area west of the Argentan-Falaise highway; “The Shambles,” between the highway and Vimoutiers; “The Chase,” from Vimoutiers to the Seine; and the “Seine Crossing.” Investigators counted more than 8,000 damaged, destroyed or abandoned vehicles, including 456 tanks and self-propelled guns, plus 367 lightly armoured vehicles. Their estimate of uncounted vehicles raised the total to 10,000 and a subsequent survey raised the figure to over 12,000. Their report was highly controversial because it attributed less than one third of the losses to air action and contradicted air force claims of the destruction of enemy armour. The operational research team also reported that as many as 20,000 motor vehicles and 250 tanks and self-propelled guns escaped across the Seine in the last two weeks of August, though many of these never made it back to defend Germany. Lacking good evidence, no attempt was made to calculate how many troops escaped across the river. 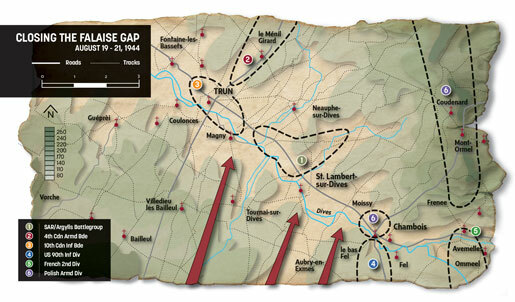 As the Allied armies moved towards Germany the controversy over the delays in closing the gap at Falaise-Argentan and at Trun-Chambois were forgotten in the euphoria of a victory Montgomery described as “definite, complete and decisive.” The Canadians and Poles who had, by strategic default, become the main instrument of the encirclement, took pride in their achievement and turned towards the Seine, confident they had done their duty and that the end of the war was in sight. The most lowly soldier in the farthest rear area was probably braver than I’ll ever be.